Board and card games are not out of fashion. Even with all the hi-tech options, we have in our lives, there is still an appeal to an old-fashioned family game night. Some of the best games are the oldest and have been played for decades or even centuries. Board game rules do not change very often, though some players like to bend the rules or come up with new ones. Let's explore some of our favorite board games as well as a few card games and re-learn the rules while picking up a few strategy tips along the way. 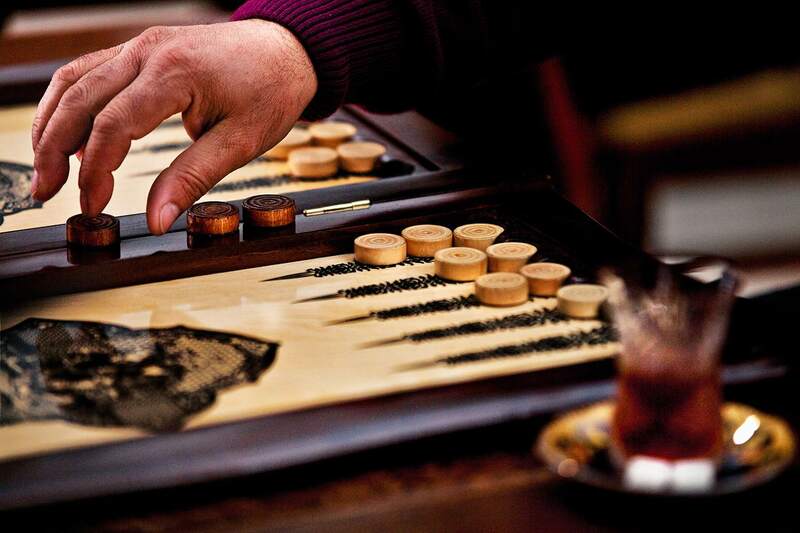 Backgammon is a fun game for two people, but it's easy to forget some of the rules if you don't play enough. How to set up the backgammon board and ​use the doubling cube are two of the most common questions with this game. If you're looking to up your game, be sure to brush up on some of the best strategies that will trick your opponent every time. Checkers is a simple game, right? It's a fun two-person game, but there are some things you should know. For instance, did you know that you may be using the U.S. rules and that you have to jump and capture a piece if you can? You'll also want to have some key strategies on your side. With a little extra knowledge, you can become the master of checkers in your home. Mancala is a fun game that's played with 'seeds' (or colored stones). It's a quick two-person game and an ancient one at that because it dates back to 500 and 700 AD. Learning how to play mancala is extremely easy and that's why it's popular with kids. The goal is to capture more seeds than your opponent and all you really have to do is pick up a pile and drop one seed in each pot. It's a fun game for people of all ages. Do You Have a Monopoly Strategy? Monopoly is a family favorite on game night and there are many editions you can choose from. With the classic board, you can switch up the game by playing by the actual rules or adding a few new ones. This board game can also last for a very long time though some editions are designed to speed up the play. You can also try to end the game faster by using some proven strategies. Your strategy may rely on owning the properties that ​everyone's most likely to land on. Then again, you can simply play it like the ruthless billionaire you're supposed to be. When someone challenges you to a game of Scrabble, you had better have your wits about you because it's going to test your vocabulary. This word game has been a favorite since it was created in 1948 and it's showing no signs of slowing down. The key to winning at Scrabble is not necessarily how many words you know, but how you handle the letters your dealt. The real challenges come when you have a Q with no U, or a rack full of vowels. Be on the lookout for those bonus squares because they can really rack up the points. Clue is the classic mystery game that asks 'Who killed Mr. Boddy?' It has been a party favorite since the 1940s and it too has evolved into a variety of editions. In general, your focus should be on gathering as much information as you can. The other stuff is pretty irrelevant, but the goal is to be the first person to figure out the murderer. Keep focused and you'll do just fine. If you thought it took hours to play Monopoly, get ready for Risk. This classic war game is known to last for a very long time and there's a lot of strategies involved. You might even have to take a break from the game and prolong it into the next day. Just sure the board's somewhere safe so the cat or your little brother don't mess up the whole thing. Essentially, the goal of this board game is to capture your opponent's flag, which they have strategically placed on the board. You use the bombs, scouts, miners, and spies in your arsenal and it's quite fun. It will definitely keep you thinking. Did You Catch the Dominion Bug? Behind the monarchy theme, Dominion is simply a deck-building game. It is one of the newer games, but it quickly took on a popularity all it's own. Dominion is very complicated and there's a strategy to this card game. There is not a strategy that's the best and that's what makes it so cool. It all begins with how you choose to set up the game and your personal strategy from the start. If you want to win, it's important to learn how to manage your money and trash your bad cards. This will help you build a better deck, which is the whole point. Board games not your thing? Then grab a deck of cards and play a game of euchre. It's a fun party game for four players, though you can play three-handed euchre with just three people. One of the best parts of this trick-taking card game is that it's okay to cheat! Actually, it's assumed you will. There are a few other keys to euchre and you'll want to learn how to bid as well as which card to lead with. For other fun card games, look for Crazy Eights, Hearts, Spades, or the very fun Oh Hell. They're all great family entertainment.